A new study has concluded that a liquid nicotine cigarette, when used for nicotine cessation, has a greater than 50% success rate, when measured at three months after quitting. Unlike over the counter (OTC) nicotine-replacement products … [it] appears to address both the oral fixation and hand to mouth conditioned sensory and motor aspects which characterize the smoking experience. Electronic cigarette retailers, however, need to be careful in reporting these claims. Nicotine cessation products need to pass through extensive licensing and testing, and if we claim the products to be a cessation device (as opposed to a alternative and healthier form of smoking) we could be shut down rapidly. 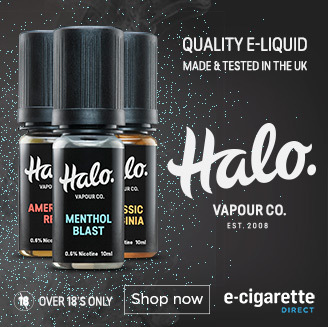 Like the electronic cigarette, the liquid cigarette seems to be a promising device, although unfortunately it is not yet available in the UK. The ingredients are similar to those used in other nicotine cessaition aids, and are all FDA approved. Brett from Smoke Break (page since removed) tells me the company is now applying for FDA acceptance of the product. Perhaps, as the device has less resemblance to smoking than the electronic cigarette, it will not be so fiercely opposed!